(Newser) – One of the nation's most powerful mayors is calling it quits. 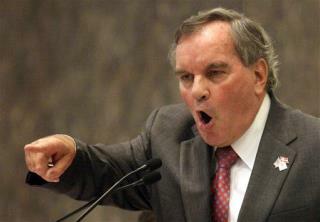 Chicago's Richard Daley says he won't run for re-election next year after 21 years in office, the Tribune reports. Speculation is sure to turn to Rahm Emanuel, who's rumored to be on his way out as White House chief of staff. Earlier this year, Emanuel said that he'd love to be his hometown's mayor—but that he wouldn't run against Daley. Next on Newser: Google's Bouncing Dots: Hinting at Search Changes? What no Mayor Daley in Chicago??? Twenty-one years is not enough!! For pete's sake what is going on here. Once upon a time there was a Nation that created leaders who took care of their constituents. Not personal reasons. Never personal reasons.